We’re always looking for economic signs and signals in this business. 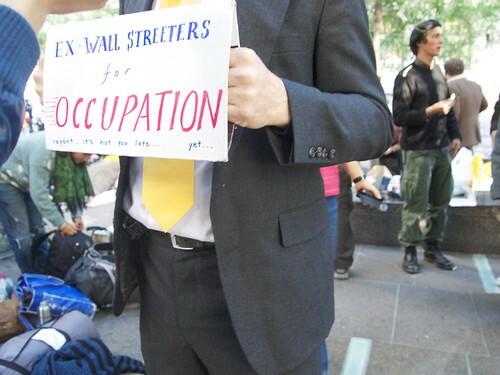 Here are some of the favorites we’ve spotted from the Occupy Wall Street protest in the last two days. 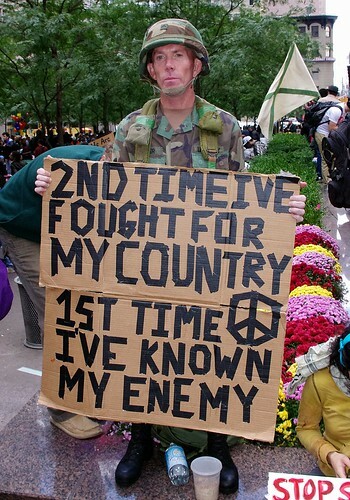 Great, creative signs. I hope economic justice can occur without martyrs and violence. I didn’t notice this at first, but the mustachio’d guy with the first sign is also wearing a shirt that says “I’m a goat.” That made me laugh!